Georgi Staykov is the Head of Digital at ISCA Denmark. 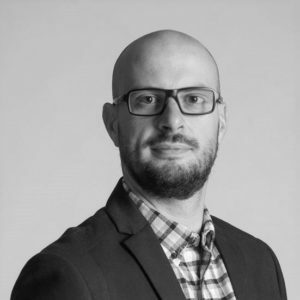 Georgi is a marketing expert with an extensive experience in strategic planning, management and implementation of user growth campaigns and projects. From selling hamburgers at SixFlags, through managing a million dollar pay per click campaigns to leading fully distributed teams across 28 countries, Georgi has been exposed to so many different types of marketing. Now he is using this experience to focus on helping startups reach their growth potential. Georgi has accumulated a solid professional experience by orchestrating strategic campaigns for brands like: Adidas, Nokia, Milka, Nescafe, Kit Kat, Maggi, Purina, Opel, Chevrolet and many more. His proficiency stretches over different industries – Technology, Ecommerce, FMCG, Retail, Advertising and Sport. Georgi can provide first hand advice with growth strategies, ROI optimization and international market expansions for businesses in Seed, Early, Growth, and Expansion stages.